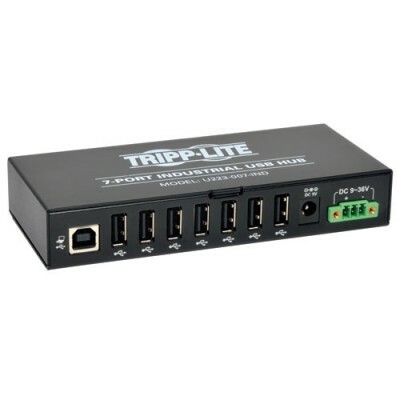 Tripp Lite's U223-007-IND is a rugged, all metal constructed USB 7-Port hub for use in data centers, work areas, and Industrial applications. 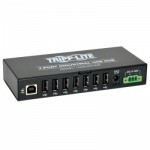 Can be mounted on a wall or din-rail with included mounting hardware. Supports Hi-Speed USB 2.0 transfer rates at 480mbps, but is also backward compatible to USB 1.1 ( 12mbps ). Hub is bus-powered through the computer connection, or can self power with an external adapter ( not included ) or via the included 3-wire terminal block connector ( 9-36V ).